One of the most iconic flowers out there.. sunflowers are SUMMER. Sturdy, tall, open, and beautiful. They catch your eye from a distance, then close up, they are gorgeously intricate. Sunflowers are GREAT for wild bees!! 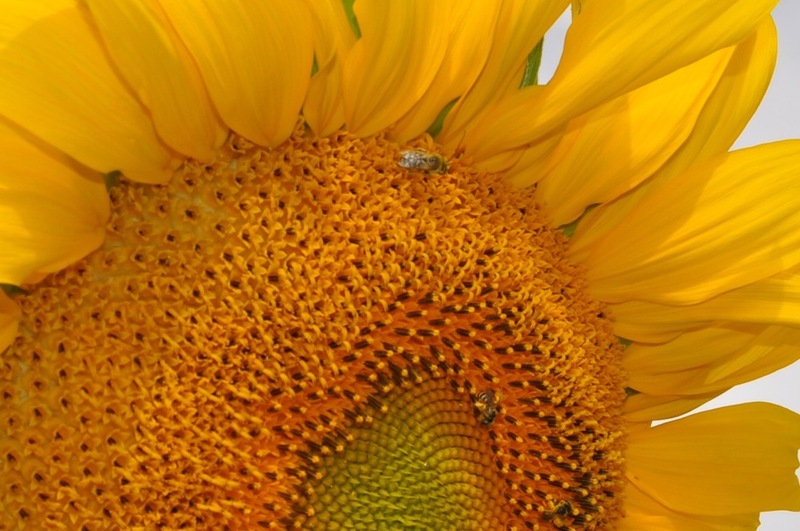 More than 200 species of native bees visit sunflowers. Sunflowers are part of one of the biggest and most successful "citizen science" projects in the USA: the Great Sunflower Project. For this project, citizens across the country plant lemon queen sunflowers then watch them for just a few minutes each day, week, or whenever they can... these citizen "scientists" then submit their observations (how many flower visitors they observed) to the Project database online. Its super easy and a great way to help scientists track bees and other pollinators! Check out a blooming sunflower and you are likely to see at least a few Melissodes bees. Melissodes males have super long antennae and patrol sunflowers for mates. Check them out in the evening sleeping on flower heads!